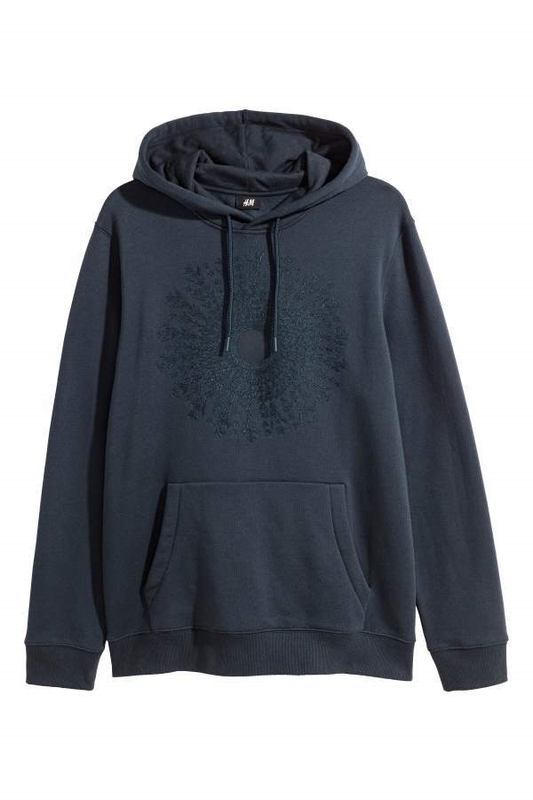 Sweatshirt with an embroidered motif at front. 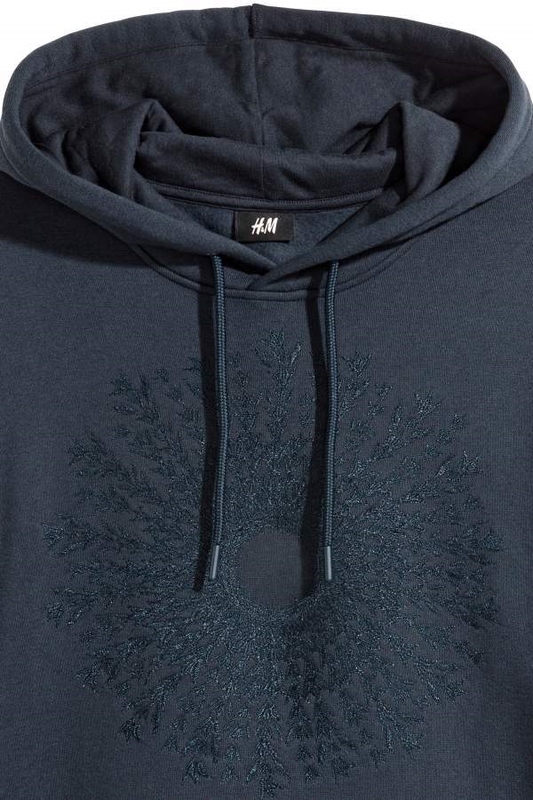 Jersey-lined drawstring hood with wrapover front. Kangaroo pocket and ribbing at cuffs and hem. Soft, brushed inside.